What better way to get a bird’s eye view of Florence, birthplace of the Renaissance, than from a rooftop terrace? These restaurants offer wonderful Italian cuisine and unbeatable aerial views of this beautiful city. An incredible panoramic view of the river Arno and Piazza del Duomo and top-notch service mean even the most discerning guests are satisfied in this gorgeous rooftop restaurant. The restaurant offers high-quality international dishes as well as traditional Italian cuisine, and even a special vegetarian menu. Just a few steps away from Ponte Vecchio, this gourmet restaurant has a warm and welcoming atmosphere. A balcony ensures great views while you enjoy Michelin-starred dishes with Tuscan and Italian flavors. All the dishes are made using local ingredients such as Tuscan meats and cheeses, fresh vegetables and fish, and even pigeon. Don’t miss the extraordinary wine list which has over 500 vintages on it. This hotel offers three restaurants and two bars on different levels, and Terrazza Brunelleschi is the one with a breathtaking panorama. 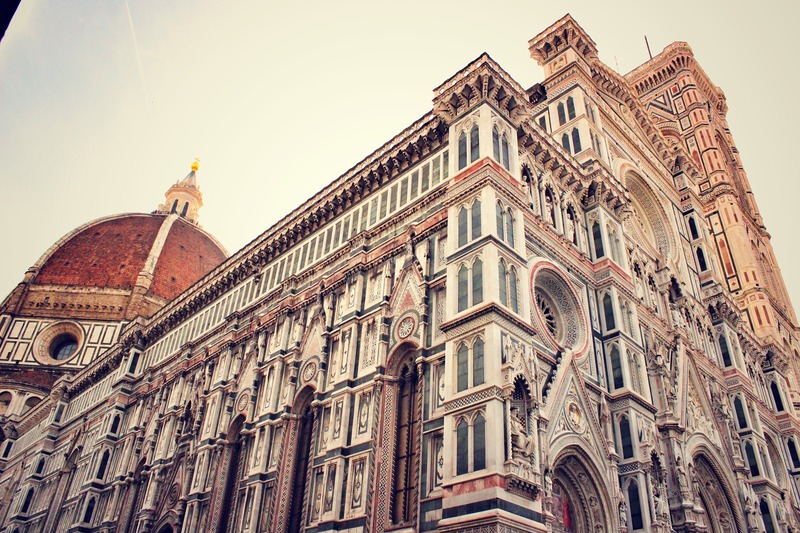 Brunelleschi’s dome and Giotto’s bell tower are at your feet, while you enjoy lunch or dinner in the rooftop garden. The menu is traditional Italian, dishes based on recipes handed down through generations. La Loggia has a terrace with a stunning view over the UNESCO World Heritage-listed city center, including the Church of Santa Maria del Fiore, the Church of Santa Croce and Ponte Vecchio, all wreathed by the picturesque Fiesole hills in the distance. The food is equally spectacular, offering a menu of elegant Mediterranean classics, from Florentine steak to tuna tartar. 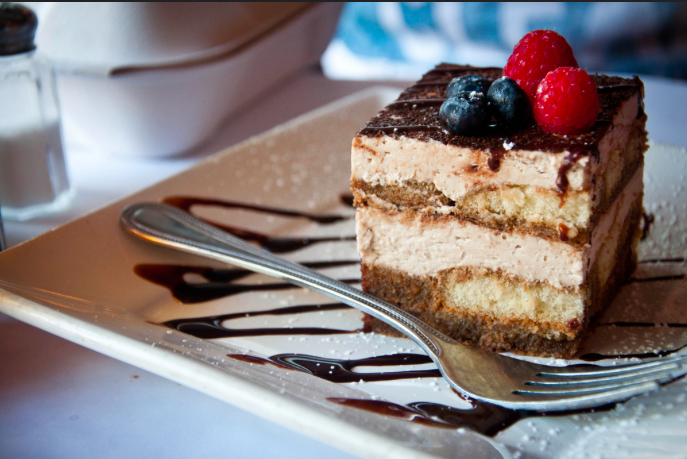 Try the stunning tiramisu for dessert. This café is situated on the 5th floor of La Rinascente department store and although it might not be as luxurious as some of the other rooftop restaurants in Florene, the view and the food are still awesome. Enjoy a 360° panoramic view of the entire city over a lunch that includes a tasty light selection of pasta dishes, salads, sandwiches and seasonal goods.